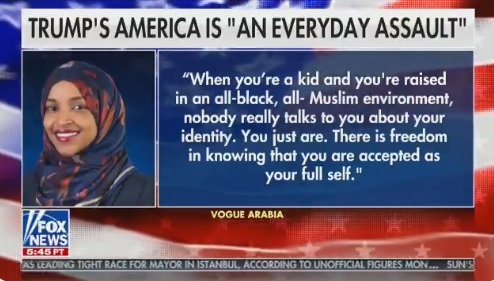 Freshman Democratic Rep. Ilhan Omar is anti-Semitic, anti-Christian, anti-whitey, anti-Trump and anti-American. Ilhan then went on to say how easy it was to live in a refugee camp in Kenya when she was 12. 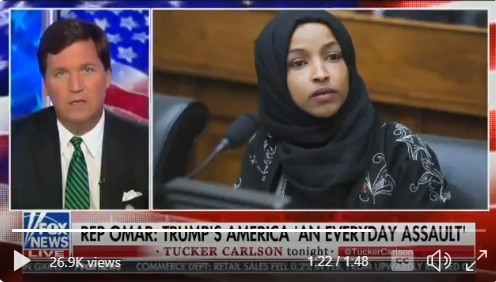 On Monday Tucker Carlson went off on Ilhan Omar and her hateful and racist remarks.